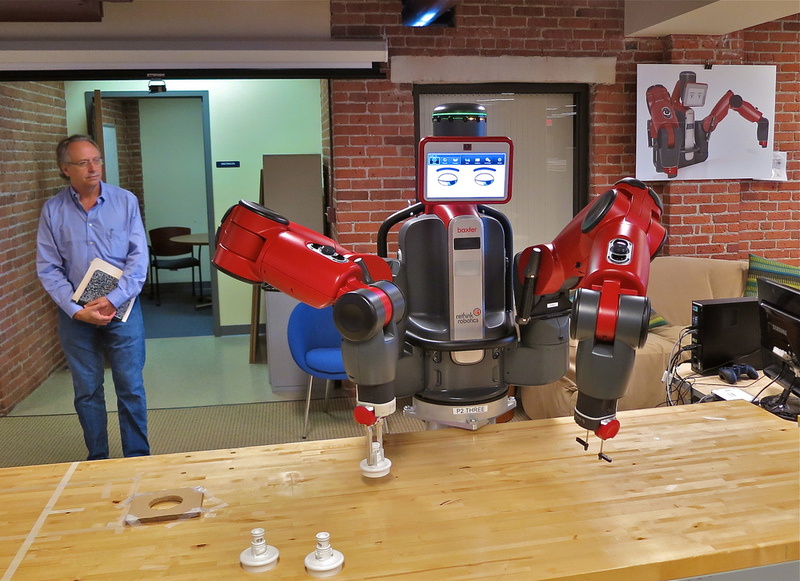 Robotics are increasingly used as part of manufacturing within the United States. They allow for automation, which improves efficiency and productivity while still lowering overall costs. Robotics are used across multiple industries, including health care, agriculture, food preparation, manufacturing and military, with the list of industries constantly growing. Robotics companies are seen as the future of manufacturing in many ways, with many trends driving the sector's growth. 2019 will likely see more growth in robotics due to factors like increasing adoption of cloud technologies, international competition, increased adoption, and the use of robots by consumers. The robotics sector includes 188 companies, with a total of 16,142 jobs. This represents job growth of 13.79% compared to 14,186 jobs a year ago. The sector has an average current sales of $6.582 million, compared to $6.556 million one year ago, growing 0.40%. With an idea of the current status of the robotics sector, take a closer look at the fastest-growing companies within it. This list is based on employment growth and includes the number of employees on-site. This company manufactures automation systems. It also offers integration, general engineering, and distribution for custom robotics and machinery systems. This company focuses on manufacturing remote presence robots to use in remote doctor-patient consultations. This company offers robotic automation to assist with economic expansion as well as to maximize productivity and improve living standards. This company creates protective coverings for equipment, including for industrial robots. This company develops automation equipment for foundry, forging and die casting. This includes the creation of turnkey robot systems, decoring equipment and more. This company focuses on advanced robotics, including electronic components. This company creates custom industrial robot work cells. This includes selling reconditioned and used robots as well as parts. This company works with robotic end-of-arm tooling. This includes automation for various manufacturing applications and CNC degating systems. This company focuses on machine automation as well as robotics for a range of purposes, including material handling, painting and dispensing, fabrication, assembly and more. This company provides precision industrial robotic welding. This company creates robot arm tooling and robotic accessories, such as automatic tool changes, utility couplers, robotic collision sensors and more. Robotics is a growing sector, with many companies demonstrating quick growth. The future of this sector seems bright and based on the figures, the above companies are ready to lead growth. Click here to see a full listing of the nation's robotics companies on IndustryNet. Related Companies: ATI Industrial Automation, Big Gun Robotics, LLC, Genesis Systems Group, LLC, InTouch Health, JAM Works, LLC, Pioneer Industrial Systems, LLC, Rimrock Corp., RobotWorx, Sarcos Corp., SAS Automation, LLC, T D Industrial Coverings, Inc.